This coming Sunday in the United States we celebrate Mother's Day. And who better to inspire us than our dear and darling mothers! Our moms taught us a lot (and continue to teach us! 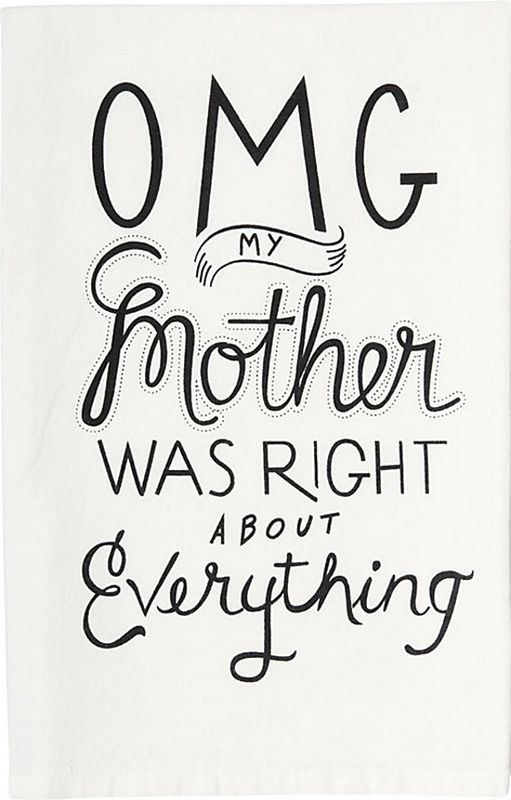 ), so let's hear it for mom — for all she does for us! I'm betting that your mom has made proud, made you grateful, and made you laugh, too. 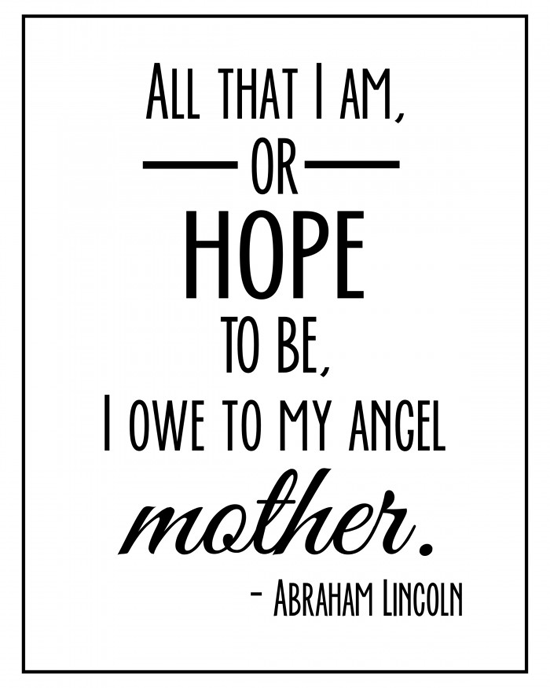 Here's to all of the wonderful moms in our lives! With products from My Favorite Things you can create the perfect card for your mama, no matter her style. Let's take a look at some awesome cards created with different moms in mind! Amy creates a pretty watercolored design, fitting for a beautiful and artistic mother. 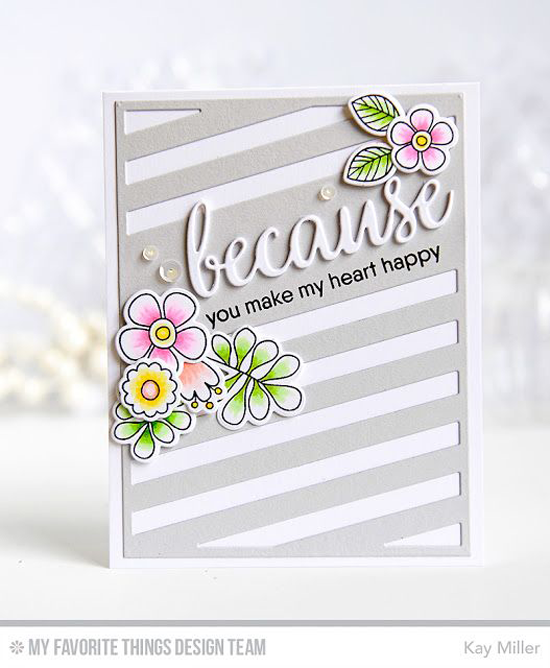 Her use of the Pretty Posies stamp set and Die-namics is simply lovely. Chances are a snuggle on the couch with mom feels like home. 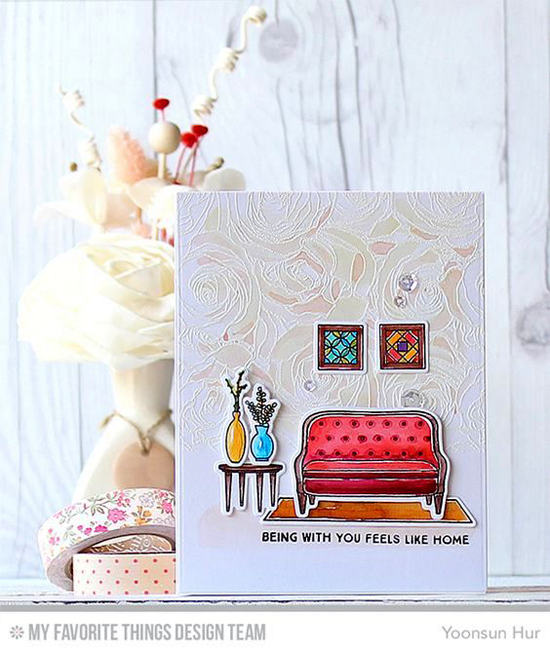 Yoonsun's pretty card using the Make Yourself at Home stamp set and Die-namics and the Roses All Over Background stamp convey the coziness that we feel with our moms. Delicate flowers adorn this elegant design from Kay Miller. The soft colors and charming sentiment make this a wonderful greeting to share with mom on Mother's Day. 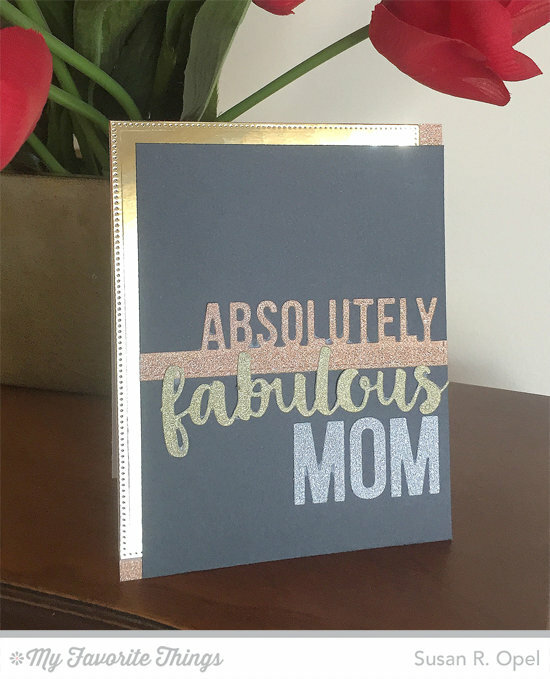 Some moms inspire glitz, like this card by Susan that uses the Absolutely Fabulous Die-namics and three different metallic card stocks available from My Favorite Things. 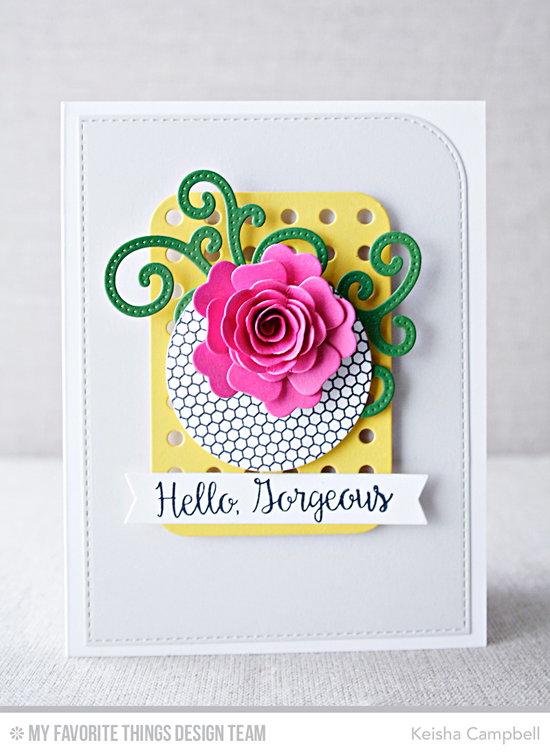 Vibrant colors, a flamboyant rose, and a pretty sentiment bedeck this stunning design by Keisha. 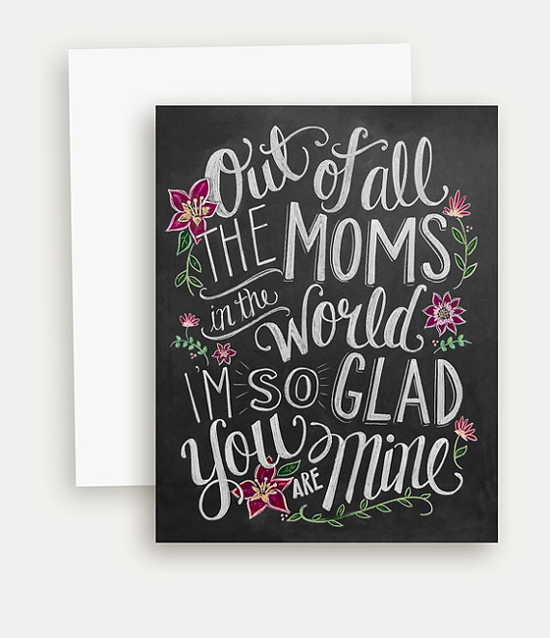 A card like this one is sure to put a big smile on mama's face! For the mom that loves to get her hands dirty and work in the garden, we have this sweet design from Barbara. 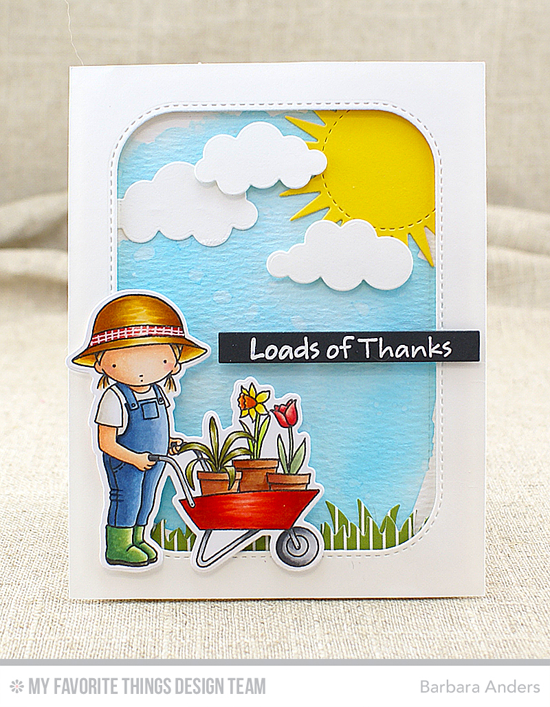 The Loads of Thanks stamp set and Die-namics is just right for thanking a mom who works hard for her flowers AND her family. For the mom who always believed in you and has a sleek sense of sophistication, we have this inspiring design from Karolyn. 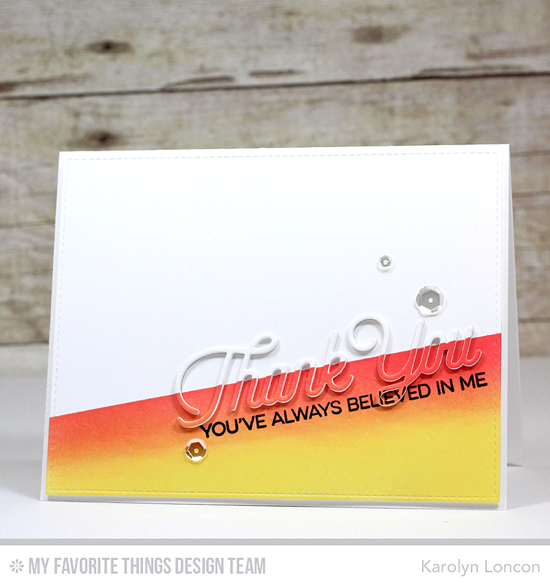 The Kind Thanks stamp set and Twice the Thanks Die-namics do the trick. 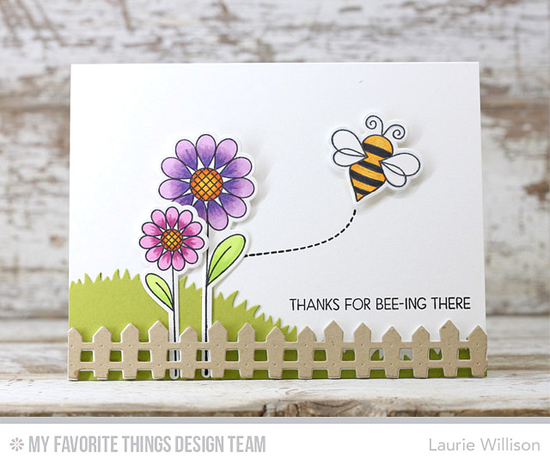 And if your mom is just as sweet as can be, you can thank her for always "bee-ing" there with this adorable design using the Fly-By Friends stamp set and Die-namics. I love Laurie's use of the fence at the bottom to ground the scene she created. No matter which type of mom yours is, be sure to give her some extra love with a handmade card. Surely, she is your biggest fan! Love the quotes and a great selection of cards. Loving the mix of card fashions for all the FABULOUS Moms out there! I also enjoy the quotes bc: True. :) Moms would love to receive any of these, any day of the year!